Archive by category "The Examiner"
When it comes to comedy debates the Crash Test Funnies and Fresh Comedy know how to bring the laughs. 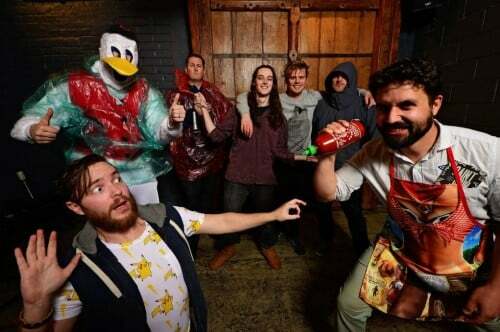 Producers Stewart Bell and Andy Collings are planning on doing just that when they grace the stage accompanied by some of Launceston’s finest comedians on August 31 at Saint Johns Craft Beer. The Headspace Comedy Debate was created as a collaboration between Collings and Bell in support of Headspace to raise funds for youth in the community. Bell said that there will be two teams battling it out with the theme being “Laughter is the best medicine.” The night will be hosted by Kerri Gay. Funds will be raised through door sales but there will also be a live auction. “We’ve just been given a pass for Party in the Paddock for the show next year, but if anyone would like to donate prizes it would increase the donations for Headspace,” Bell said. Both Bell and Collins have been involved with Headspace in the past and see the debate as an opportunity to help the youth centre to continue their work. 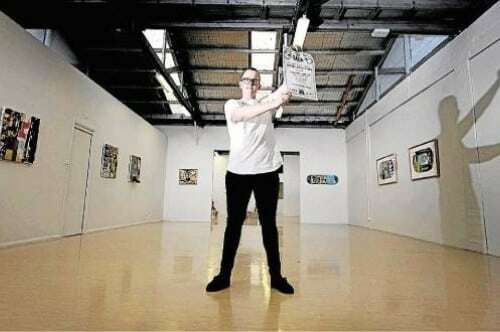 “A lot of young people involved in comedy locally do have issues with anxiety and depression, so I think it’s really important,” Mr Collins said. The for and against teams include Jake Baylis, Dan Taylor as Pluckaduck, Gerard Lane, Ned Townsend, Stewart Bell, Andy Collings and Bill Armstrong. TALENTED young creators will have a chance to shine at the Launceston Youth Makers’ Market on April 13. 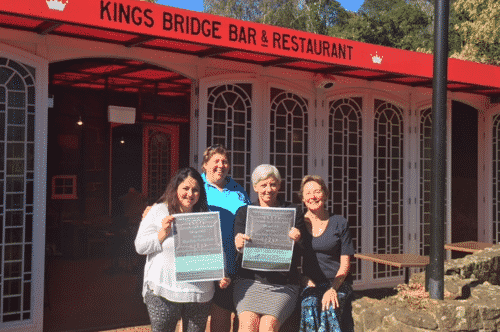 Fifteen stallholders have signed up for the event, including Migrant Resource Centre clients offering henna tattoos, Jack Foley Photography and Love Jamin Creations. Coordinator Alison Filgate said all proceeds from sales would stay with stallholders. “This is about supporting and encouraging young people,” she said. Ms Filgate said there was space for more stallholders and buskers aged 12 to 25 to participate and encouraged interested people to contact her on afilgate@csys.com.au or the Launceston Youth Makers’ Market Facebook page. The free event will run from 4 to 6pm at Kings Bridge Function Rooms, 147 Paterson Street, Launceston. NEW research indicates that taking a break from social media can be positive for mental health. The Happiness Research Institute in Denmark conducted a study of 1095 people, allocating some people to continue their usual Facebook use, while others took a break for a week. After the test, 88 per cent of those not using Facebook said they felt happy, compared with 81 per cent of those still using Facebook. Studies show the negative effects of social media are exacerbated among teenagers. The Australian Psychological Society’s annual Stress and Wellbeing survey found 60 per cent of teenagers worry when they find out via social media that their friends have been having fun without them, compared with 17 per cent of adults. David O’Sign, chief executive of Cornerstone Youth Services in Launceston, said that social media shouldn’t substitute in-person interaction. He said that friends leading busy lives could lead to online updates replacing in-person contact, meaning friends miss out on “that social interaction that can be meaningful, and that support that you get through that interaction”. Falling victim to online vitriol is also a risk. “There’s a lot of uncontrollables in terms of social media in that you don’t know how other people are going to respond to what you put out there,” Mr O’Sign said. Doctor Nicholas Hookway, a lecturer in sociology at UTAS, said we need to examine the positive and negative aspects of social media. Dr Hookway said social media users needed to be wary that the lives people presented online were often illusory. He said there was “a culture of envy”, as social media users presented an idealised versions of their lives which could cause feelings of inferiority and insecurity in others. headspace Launceston has been using the National Telehealth Service since May 2015. 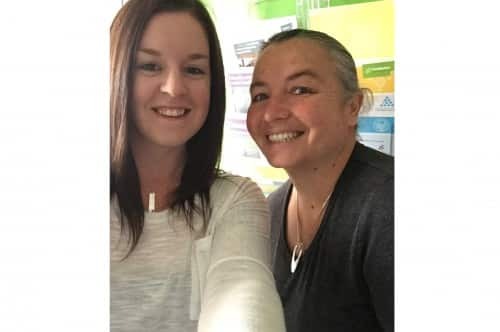 Penelope Watson (hNO Telehealth Practice Manager) recently chatted to Jayne Watson (headspace Launceston Youth Support Worker) and Kate Brennan (headspace Launceston Clinical Services Manager) about their thoughts on the Service. What advantages are there for young people who chose to see a psychiatrist via the National Telehealth Service? Having an ‘in house’ service for the young people that we are working with is a massive advantage for all involved. It allows clinicians to have direct contact to the psychiatrist and sit in on the session, while the young person has already previously engaged with the clinician and is in a familiar environment. The dramatically decreased waiting time offered by this service is another advantage, especially as public waiting times can regularly stretch between six and eight weeks. How has the National Telehealth Service helped young people who have seen a psychiatrist? It’s a great way for the young people to seek clarification and validation on their diagnosis, while they have the clinician they are familiar with sitting beside them for added support. One young person that completed a session and review liked that she wasn’t seeing a local psychiatrist and was less self conscious about attending the Telehealth appointments. What are the advantages of the National Telehealth Service for headspace centre clinicians? Why should a centre use it? If you were trying to convince a colleague to use it, what would you say to them? It’s an excellent learning experience for clinicians. Not only is the service great for diagnostic clarification and medication advice, it can bring a new perspective on treatment ideas that the clinician can then implement with their client. What three tips would you give to a centre just starting with the service? The first tip we’d offer is to have one organised representative who takes care of the referral gathering, organising times for young people, making sure they are able to attend on the day and setting up the technology, so there are no mixed messages within the team as to who is responsible for these jobs. Secondly, we’d recommend having the clinical lead working closely with the Telehealth representative to flag young people to follow up with to ensure no one falls through the gaps. Lastly, it’s important to give the NTS time to take off within your service and not set expectations too high, as referrals will take time to build up. What barriers did you experience when initially using the service? Technology was a big barrier for the young people before their attended first Telehealth appointment, as most of them hadn’t used a video call setup before and needed reassurance beforehand. Our GPs and clinicians also had to build trust with the new system and NTS psychiatrist. CORNERSTONE Youth Services chief executive David O’Sign believes the accessibility of services for young people should be a high priority. Mr O’Sign was responding to a Mission Australia report released on Monday that looked at the aspirations of young people in relation to the socio-economic status of the area in which people live. The report found that those from a lower socio-economic area broke the stereotype of being ‘‘lazy and lacking in motivation’’, and they desired things that all young people do, such as a good job and financial security. But their environment can impact these desires, he said. ‘‘If these people are motivated to make a change to their situation, then they need to know what services are there,’’ Mr O’Sign said. ‘‘I don’t know if that is always clear, so it is something we could be doing better. Youth Network of Tasmania chief executive Joanna Siejka said she believed young Tasmanians, no matter their background, ‘‘were very motivated to achieve and to do their best’’. ‘‘[But] young people from lower socio-economic backgrounds may face challenges on a daily basis, such as bullying or family conflict, that make it difficult for young people to think that they are able to get through and achieve things such as financial security, making these aspirations very important for these young people,’’ Ms Siejka said. 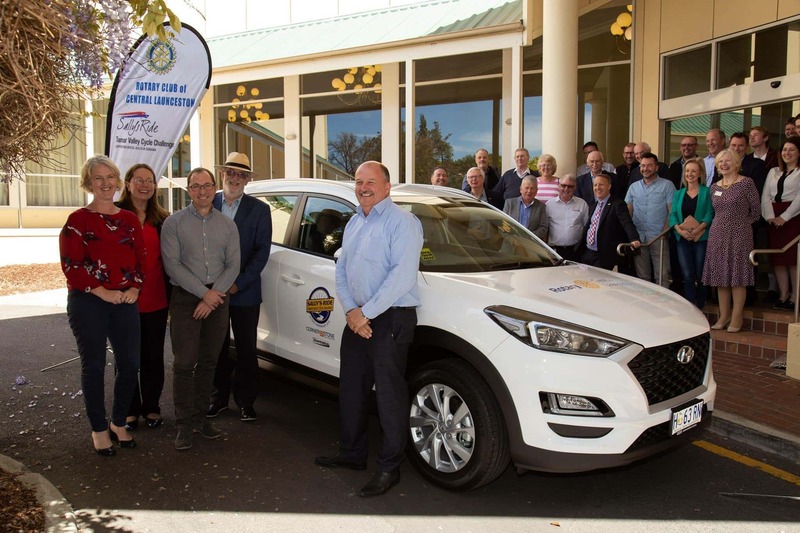 Mission Australia state director Noel Munday said support should include more intensive career advice, access to mentoring and work experience opportunities. Better access to extra-curricular activities to build young people’s networks and investing in young people from early childhood when ‘‘the returns are highest’’, particularly for vulnerable children, were other suggestions. ‘‘With a youth unemployment rate in Tasmanian of 17 per cent – higher than any other state – we should be ensuring young people have the skills and experience to take on the jobs of tomorrow when our economy picks up,’’ he said. IT’S an uncomfortable conversation but one that needs to be had: how do we ask people if they need help and seek help when we need it ourselves? Launceston man Josh Gudsell has made it his mission to help empower the community to have difficult discussions around suicide with community information evening The Talk. Representatives from Lifeline Tasmania, Speak Up Stay ChatTY, Headspace North and the Tasmanian Health Service will present at the forum alongside guest speakers. “Like anyone, I’ve been affected by suicide a number of times, and essentially The Talk was to be able to connect people with the services and connect everyone to understand how they can talk about suicide and seek help,” Mr Gudsell said. The event, to be held July 16 at Sawtooth ARI in Launceston, will be accessible and suitable for all ages. ■If you need help, you can contact Lifeline on 131 114, beyondblue on 1300 224 636, Lifelink Samaritans on 1300 364 566, Kids Helpline on 1800 551 800, or MensLine Australia 1300 789 978.